I have been a full time thatcher since 2003 including self employment. Apprenticeships at Fas Thatcher Traineeship, Portumna, Co. Galway and Lullymore Heritage Park, Lullymore, Co. Kildare. Further Scholarships pursued through the Heritage Council and other training with various traditional thatchers. Styles are fletch, hidden scallop style and modern steel sway/screw fixings. Fetac Accredited. I have also trained under various traditional thatchers and use techniques that are appropriate to the roof in question. All thatching work carried out conforms to good practice as laid out in the Thatchers Bible "The Thatchers Craft". With all my work, I give guarantees that basically underwrites all thatching work. Typically I will guarantee work carried out for a minimum of five years. Registered Business - Tax clearance for grant aided work. Grants for Heritage buildings from Department of Environment, County Council, The Heritage Council, where appropriate. All straw that I use is purpose grown for thatching using the traditional reaper binder, I do not use Combine straw. Traditional style thatching using fletch style and old style water beating techniques, used mostly around the midlands. I also undertake conservation and Heritage work and have been involved in re-thatching many ancient buildings. All quotations and estimates come with a full specification for work so the customer is clear on what the job involves and the technical standards that are applied. Full insured for Public Liability, Safe Pass. Own premises, van, scaffolding, ladders, Reaper Binder. Full maintenance schedules available - Regular blue stone applications for prolonged life of thatch. From start to finish, we were very impressed with the high level of quality and great detail the work was carried out. Philip worked through the rain / cold and always had a positive attitude. You always got the feeling Philip took great pride in the way the cottage would look when finished. Philip gave a completion date and the works were carried out in this timeframe. 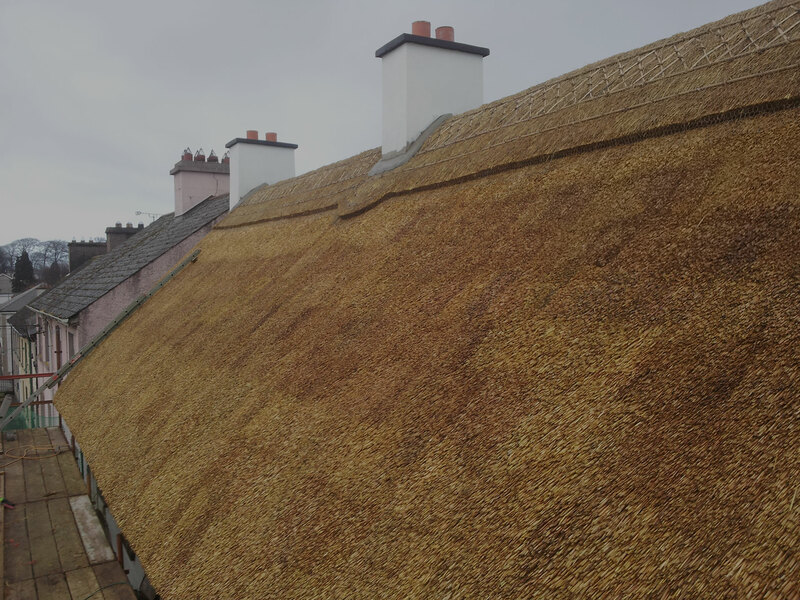 We were delighted with the finished thatch roof and would highly recommend Philip on any future work. Thatch is unlike any other roof form - it is not only as good as the material quality, but also the skill of the thatcher. I have been a full time thatcher since 2003 including self employment. 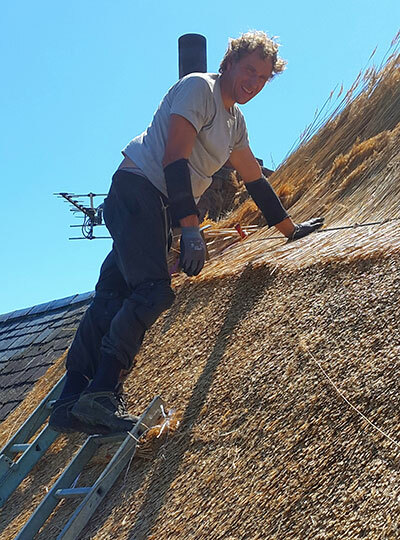 With all my work, I give guarantees that underwrites all thatching work. Typically I will guarantee work carried out for a minimum of five years. © 2016 Philip Doran Traditional Thatcher. All Rights Reserved.